If you find yourself asking this question, you’re not alone – employees are more concerned about privacy today than they were 10 years ago. To answer the question, let’s take a brief look back on the history of office spaces and give it some thought. In the 1950’s, in an attempt to liberate workers from the confines of box-like spaces, the open office came into being by a team from Hamburg, Germany. The idea was to facilitate communication and idea flow. Companies, however, took up the idea more out of a desire to cut back on office space costs than any democratic ideology, and the resulting typical open-plan office of the first half of the 20th century contained rows upon rows of desks occupied by as many workers as the space could pack. To combat that soul-sucking picture where employees lacked any semblance of privacy, the “cubicle” was invented by Herman Miller chief executive Robert Propst in 1964. His goal was to give back workers their privacy, their own space, and the flexibility to change positions throughout the day. His creation – which he called the “action office” – may have been built to deliver a more human sense of work, but companies, concerned with their bottom lines, had other plans. As competitors began selling knock-off versions, Propst’s vision was downgraded in size and quality, descending into the rows of drab boxes we’re all too familiar with. The last decade took us back to the open office plan, and the irony escapes no one. 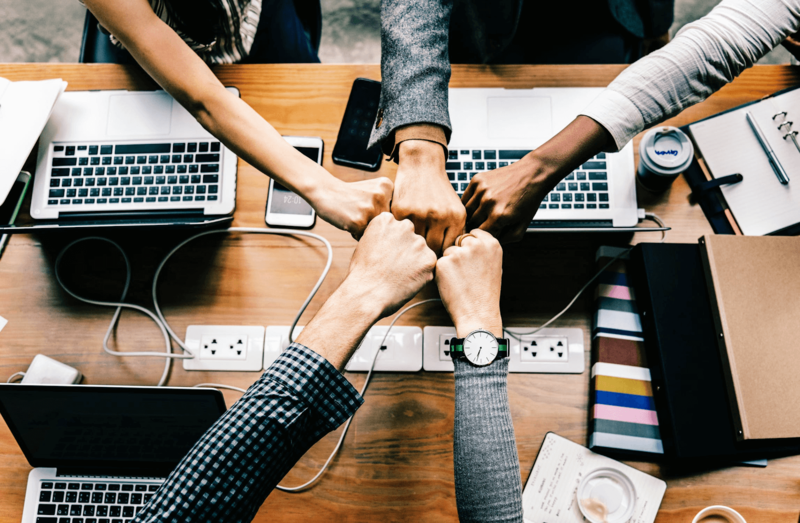 From tech startups to more established industries such as advertising, media and architecture, the idea was that by taking down physical barriers to communication, easier human interaction will lead to increased productivity. The really surprising conclusions were around the fact that open workspaces, while initially designed to boost collaboration and creative productivity, may actually be responsible for just the opposite effect on such a work environment. This is disturbing news for everyone involved, especially that the trend towards shared office space is only likely to continue, in light of increasingly higher office leases and demands for flexible hours. As discussed in a previous blog, almost 70% of all offices are now running some sort of open office plan. But I…still want my open space? Yes, and it may be wrong to ditch your open space altogether, where some “spontaneous collaboration” can and will spark a few groundbreaking ideas at the office every now and then. In fact, in a Fortune article on the same topic, a start-up company based in New York that makes trendy barware and cocktail kits, called W&P Design, said its open design office space was the inspiration behind one of their projects: Buenos Nachos!, a hipster-chic Nacho cookbook. The two co-founders had initially discussed the idea but dismissed it, not believing in its potential. However, their co-workers, who work almost elbow to elbow with them in their converted warehouse office space started brainstorming ideas on the spot, an effort which resulted in the book coming out late 2016, featuring at least 50 recipes from famous chefs and celebrities. But what about privacy, you ask? Well, this is where we come in! We have your equivalent to a “Writer’s Cabin,” a spot where your employees can seclude themselves to get things done in solace, when they’re not engaged in their otherwise bubbly work environments. Let the Loop Phone Booth be where they take their collaboratively crafted ideas and actually put them to action. Also, instead of the company stairwell, it could be where they take an important phone call or check a personal email. So, no! Office privacy is not dead. And the answer lies in the hybrid office plan. It’s a fusion of offices past and present, where the key aspects are the design’s flexibility and options. This is a space where employees can have a range of communal areas for social interaction, closed spaces for more focused group meetings, and private booths for much needed solo work. 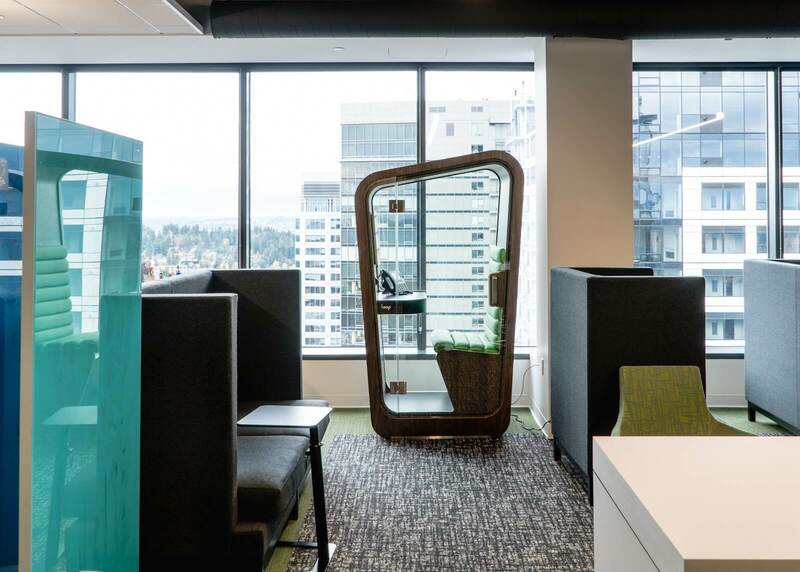 Besides giving your employees the privacy, focus and productivity they crave, Loop Phone Booths even allow you to customize your booths to match your office aesthetic. Its trendy, cool, and exactly what your open space needs – so stay in the Loop!